Are you in need of inspiration for your kid’s next Halloween Costume? 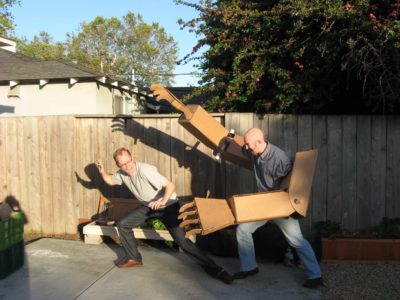 Check out Giant Cardboard Robots, a project that makes Kid-Sized Giant Cardboard Robot Arms a reality. 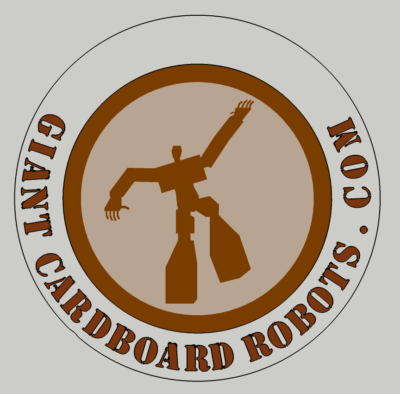 At Giant Cardboard Robots, we have been making and selling adult size giant cardboard robot arms for the past several years, and now we have put together an offering especially for the junior giant robots among us. Our Kickstarter rewards include DIY kits for cardboard robot arms in both the kid and adult sizes, plans to allow crafters to make their own robot arms from cardboard they have laying around, as well as some truly unique corrugated creations ranging from a giant robot pirate hook to a wearable giant cardboard jack-o-lantern head. We have launched a Kickstarter campaign that will run until September 30 and has been picked by Kickstarter itself as a „Project We Love“. Dieser Eintrag wurde veröffentlicht in Crowdfunding, English, Fun, General und verschlagwortet mit Cardboard, Kickstarter, Robots von Sebastian Trella. Permanenter Link zum Eintrag.